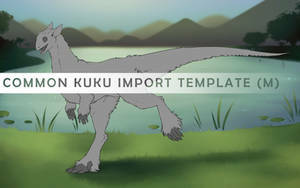 ✿ Decipt your Kukuris hunting for a specific animal. Do note that your Kuku cannot hunt for multiple animals in the same picture - you have to choose one specifically. ✿ The animals are divided into the areas they appear in. All animals are huntable all year around, but hunting them when they're in the season gives you bonuses in gaining rewards. ✿ PAY ATTENTION WHEN HUNTING FOR LARGE ANIMALS, they can be hunted with a single Kuku, but you suffer penalties in the rewards. They require 2 or more Kukus for the regular rewards. Miniatures will always suffer penalties when hunting large animals, even when hunting in group. ° One image/story can feature up to 3 Kukuris hunting. You can include more if you wish, but only 3 will be rewarded - any extra kukuris outside the 3 will also not get the hunting FP bonus. ° The images and stories are posted in the "Hunting" folder. One image/story is one hunting trip, which means that you can't collab many journeys into one picture/story, and comic pages are judged as one trip if posted as a page. ° Hunting is about, well, hunting an animal. It's a perfect excuse to practice the actionshots you're always little nervous about trying, but you can also show the stalking of the prey or aftermath of the hunt. You are not required to portray violence, gore or bloodiness. ° The prey must be chosen from the list given below - the prey can have magical qualities, but should still be easily recognized as the animal it is based on (so we can roll it). ° 40% of the prey must be visible in the picture. 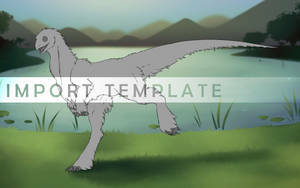 As stated before, you post the finished image into the "hunting" folder and then wait. An admin will check your image, roll your rewards and post them to your hunting tracker and automatically add them to your bank. Pictures have always been same ovo We don't update anything else than the current season when needed. Can a kukuri be shown hunting with their handler or does it have to be with others if it's with company? Thank you for reminding us :'3 It kinda slipped from our minds! Question from a noob. But when drawing big game for winter say the deer. Can it be any type of deer like caribou or moose? I like to combine arpg species in activities for maximum art points and payment methods. Deer has to be deer ;3;/ We need to be able to easily tell what huntable animal is in the art! So white tail, mule, and red deer? Please post any questions and concerns below! We will get to you as soon as possible! if you are unsure or confused of something ;3; We try to answer as fast as possible! Oh true, it was forgotten! Thanks for noticing, it's been fixed now! So if I want to write a sotry with 3 hunting Kukus, it would have to be 2400 words? I have a question about one of the recent images that I made for someone. The owner of the kuku claims that the that this image that I made cannot be used as hunting entries so I wish to know why? I'm pretty sure that I read the journal correctly that a single Kukuri can hunt a rabbit of course, so is it that because it has two images together is the problem?? Since there is no (don't make hunting batch) mention anywhere as someone just like me could confuse the use with other ARPG creatures. I don't see any issue with the image aside from it having to be split into two individual pictures so the loot can be rolled. Otherwise an image like this will only be rolled once instead of twice. 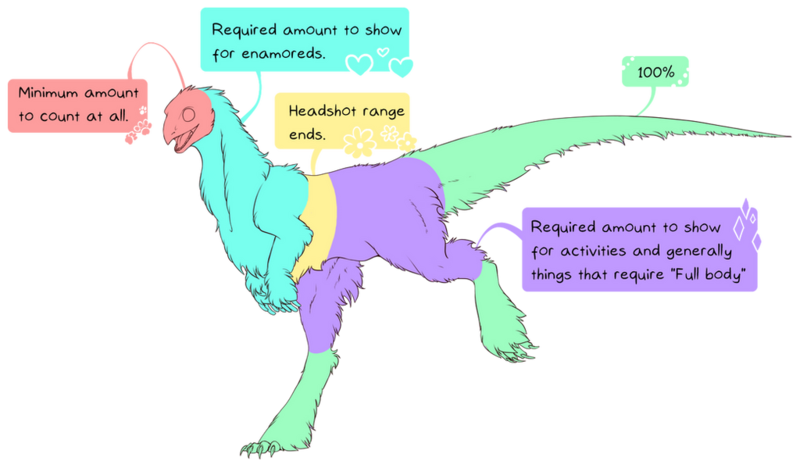 However, I need to mention that in the right-hand side panel, the kuku isn't really showing enough (a minimum of 60% visible) to be counted as a fullbody, and that's a requirement for all activities. Yeah, the one on the left should be totally fine! Alright, thank you so much for replying~! What animal skins count as big skins? Deer and up? Reading the blog post How To Hunt taught me one thing that hunting for a specific animal requires different hunting tools. Find more information about what to pick for your next hunting tool on archery view. Also, if you have more questions, please drop them at the Questions and answers page, so we don't miss anything. Oooh. I am so silly to have missed that haha. Thank you for pointing it out! Is it alright to draw my Kuku hunting kangaroos since Kangaroos are common in australia and I think it would be pretty cool? for small animals...like rabbits. can young kukuri hunt for them? There will be more different enviroments for hunting in the future? Monthly QuestMonthly quest is, as the name tells, a prompt that changes at the 1st day of each month. You CANNOT take part in the past monthly quests, but you can take part in the current month's quest as many times as you wish! Taking part in the quest earns extra FP for every Kuku in the picture, and you have a chance to roll for the special familiar of the month! Do note that the monthly reward is given only for the person who posted the picture, and it is not rolled for each kukuri in the picture. TrainingDomesticated Draco Stryx are not born knowing how to fly and hunt, so it is up to their riders and other Stryx to teach them how to survive. Not only this, but all dragons rely on this early training so that they can bond with their riders or other Stryx in a series of feats called Tributes. It is through these Tributes that a Stryx and rider learn how to connect and communicate with each other, and as a result learn many things about themselves along the way. You may include a maximum of up to 3 Stryx in Training images. You can not re-use or recolor these images! All Training entries must be original. 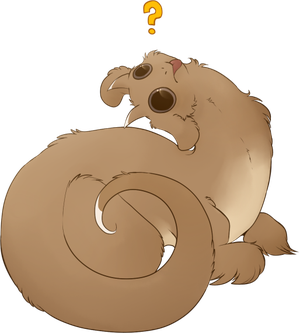 If a rider or companion stryx is required in the prompt, you must either have one rider per participating stryx, or (if completing the prompts for wild stryxes) one non-participating companion stryx for up to two other stryxes being trained. Every Reosean, regardless of their species, size or type, starts off as a rookie. Young and untrained Reoseans have a mind of their own and can be hard to deal with for riders and companions that need them to be able to get from point A to point B without unnecessary shenanigans. It is oftentimes a life and death gamble for untrained individuals. Reoseans must learn how to survive out in the world and that's where training comes in. ♦ Trained Reoseans nullify the chance of coming back empty handed from Hunting. ♦ Trained Reoseans may participate in Tournaments, Dungeons, etc. ♦ Training is mandatory before a Reosean can bond. 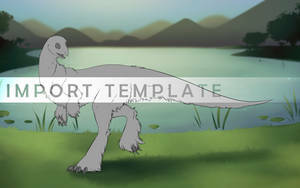 ♦ Images must be: Full body, shaded with a background. At least 75% must be visible. ♦ Literature: Literature entries must be at least 1000 words. ♦ The art will be compared to the rest of the artist's gallery. The Purity Trials are a set of tests that each Reosean must complete before they are eligible for breeding - they serve to show that the Reosean can care for both themselves and any future young. 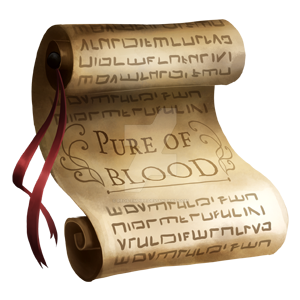 You will need to complete all three trials in order to receive the PoB certificate, which is required before a Reosean may be bred. Each of these trials is a little different and some have specific instructions depending on the continent your vayron lives in, so read carefully! - Up to three Reoseans may be depicted in each trial. Additional Reoseans may be added for CP purposes, but only three may be judged for the Trials.